Any walkthrough to this mod? I can’t figure out for the life of me how to get past the section w/the tentacle, even after having enabled the noclip cheat & explored around a little. I have a bad feeling the solution is pathetically obvious, but can anyone throw a hint my way? Would be much appreciated. Wilheim6, I just finished this mod yesterday. 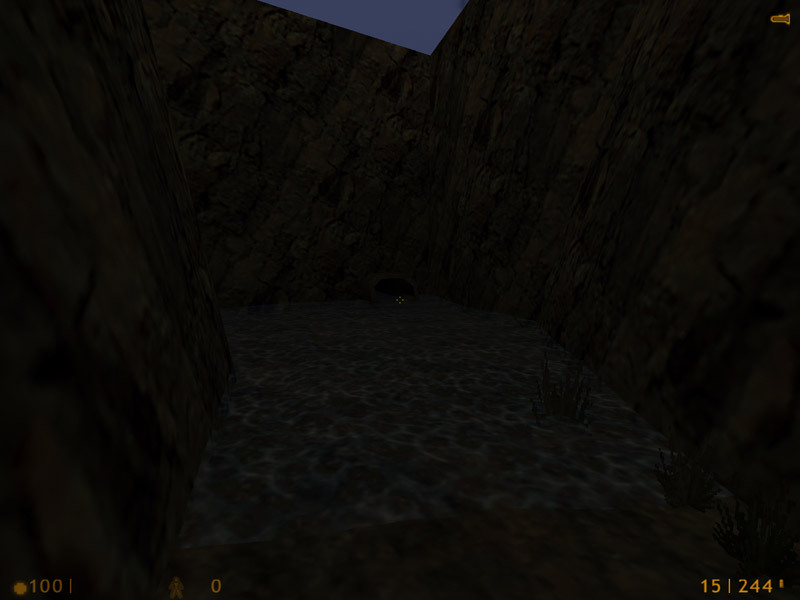 The tentacle is at the bottom of the pit you crossed earlier via rope bridge. It is only there for decoration (nothing to get past). After you have visited the room with the 4 flaming urns (with video displays) and the room next to it, retrace your steps. Go back to where the 2 alien grunts are at. There is a blocked passage. Beat on it with your crowbar until the passage clears, or just noclip past the rock. At this point, you are only about halfway through the mod. I originally thought the mod ended at the room with the urns, but I was able to manually load a map past that, so I kept hunting around until I figured out how it connects. The blocked passage will eventually unblock, but you’ll nearly get killed trying to break the rock. A walkthru would have been really nice. David_OSU, Many thanks for the guidance. I like non-linear levels, but hate it when a section of a map actually has to load, only to turn out to be a kind of dead-end or cul de sac. Throws me off, dagnabbit. Still, a beautiful & well-desgned level. What a strange experience. This is the first one I’ve played that I had to quit because it was making me feel sick. I can’t take that little flashlight beam in so much darkness & all those steep stairs down. Not only did I start feeling claustrophobic, I felt I didn’t have my wits about me & was going every which way … like falling down a black hole or something. ***DISCLAIMER:*** This mod falls somewhere it between “Play It Now!” and “Consider It,” but I guess it’s ultimately closer to this one. I found this mappack intriguing. It’s set in the desert outside the Black Mesa facility, where you explore a series of Native American ruins that the author manages to tie into the Half-Life storyline. I very much liked it the first time around, but it doesn’t have much replay value. Several enemies have been reskinned so as to fit their environment better, which I thought was a very nice touch. Ultimately, this map suffers in that it’s far too dark. While this darkness is realistic, it isn’t any fun in game, and makes for some eyestrain and even some queasiness (yes, I felt it too, Goddess). The abundance of barnacles is also something of a pain. Finally, I would say that while the meat of the game in very satisfying, the intro and conclusion are less than so. The game starts with a panning view of a cafe on an indian reservation, where you’re apparently being briefed by an Indian on the goings-on in the ruins below. The voice of the Indian is of very poor quality, is done with a stereotypical Indian accent, and is spoken very quickly; the combination of these effects renders it mostly illegible. 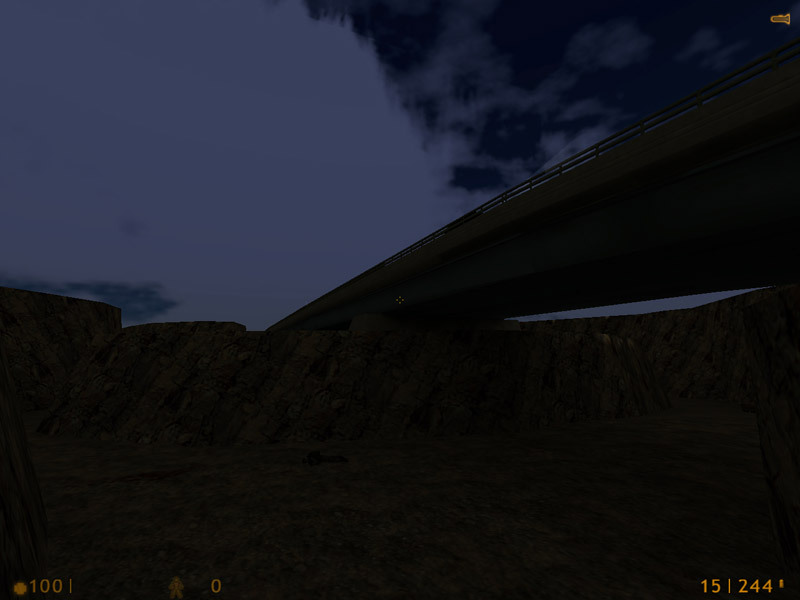 The are the game ends in is supposed to bethe entry to the Black Mesa Hazard Course, but it seems nothing like what you would imagine: much to remote. Still, this is definitely worth a play; just be prepared to fiddle with your monitor brightness settings. Good installation hints, no gaming problems. You drunk too much and are in or from an Indian Reservation. 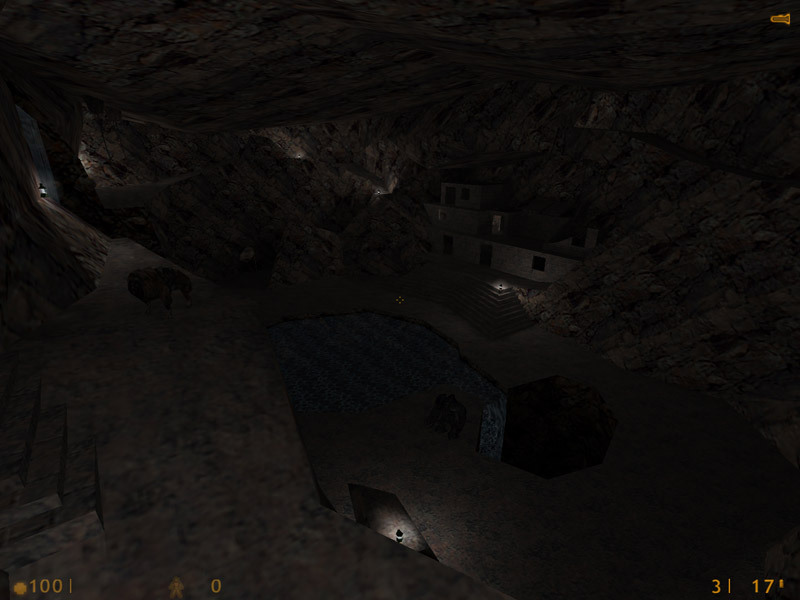 Dark levels in (except monsters) empty caves, less weapons, a few stops for a talking voice and inbound text. Testing time two hours to get to the urns, then byebye for me. I favorise black mesa design and more brightness. Start is interesting, story is a different, unsual “BM” story. But most of the times you’ll be in dark caves killing houndeyes and alien grunts, headcrabs and zombies. At the end, near BM, there are human grunts waiting. Sorry, but that doesn’t make much sense to me at all.. no fun. -Mostly running through dark cave maze…yawn! 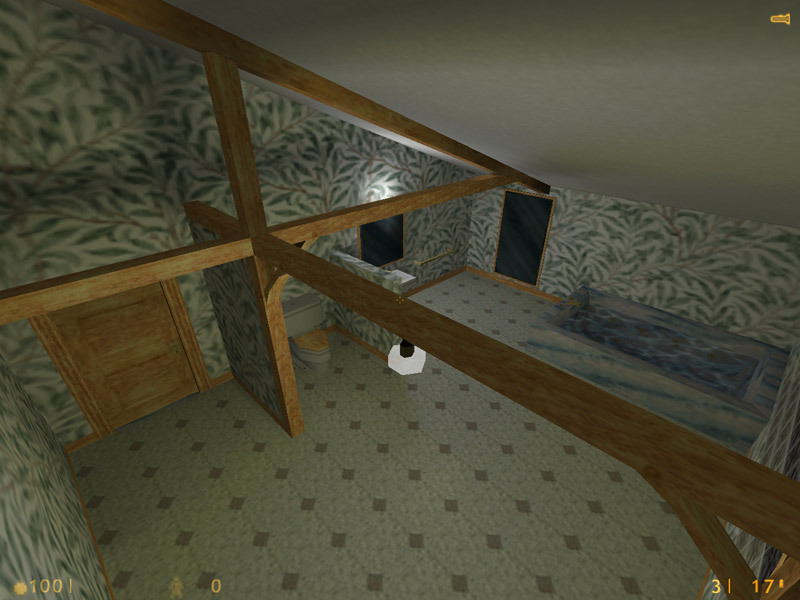 This Half-Life episode, released in March of 2000, is by experienced mapper Brenda Perdion (aka Brenda EP), who has also mapped for Quake, Q2, and now Q3. 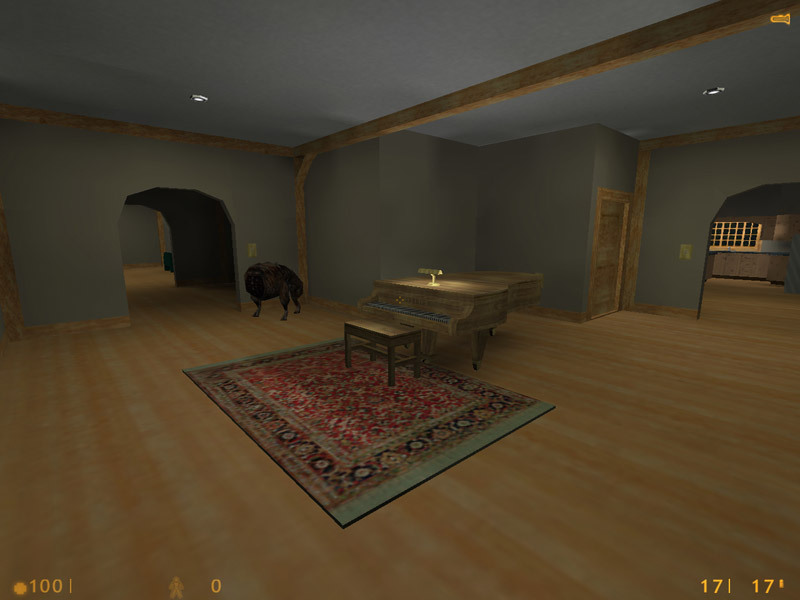 This pack is also known as DwellSP and Dwell Single Player, to distinguish it from the multiplayer deathmatch version available. Judging by the opinions on Brenda’s Q2 map Nike, Dwell is in exactly the same vein. The rambling and incoherent story provided was the first source of confusion. It was repeated apparently verbatim as a monologue in the introductory map of Dwell, just in case you didn’t take the time to read it. On second thought, after multiple readings, I was able to extract a decent background story out of said incoherent ramblings. You have stolen a gun and some “equipment”, and decide to go spelunking in a cave/underground complex after an encounter with some Black Mesa “freaks” that are working there and look really worried about something. So off you go, already wearing an HEV and carrying a Glock. Brenda’s concentration in Dwell was certainly on building a realistic environment with a Native American flavor, and creating catchy visuals. Basically, the gameplay and challenge in this pack are really lacking, and are afterthoughts at best. In the cave, the enemies for the most part are the wimps of Half-Life – zombies, headcrabs, barnacles, and heaps upon heaps of houndeyes. You also face a couple more serious foes, among them alien grunts and the most dreaded, most hated of all Half-Life baddies: baby headcrabs. The catch is that you will be armed only with the Glock until the very last section. That’s why this map has tough spots – while there is plenty of ammo and health available, taking down an alien grunt at close range with only a pistol can be severely detrimental to your health. This review is republished here by permission and was originally published Tuesday, 27th February, 2001 by Unquenque. Very dark, but atmospheric. If you like a horror, there is a something for you. The lack is a bit abrupted end + long way only with pistol and crowbar. Small spoiler: after visiting a tomb you should do a backtracking to the previous map to find an opened pathway (stick to the left side after you go upstairs).